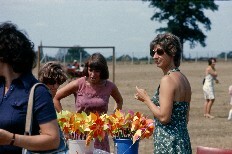 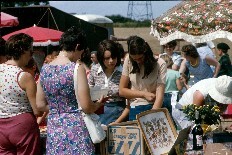 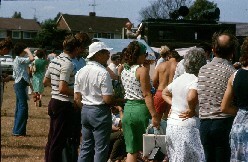 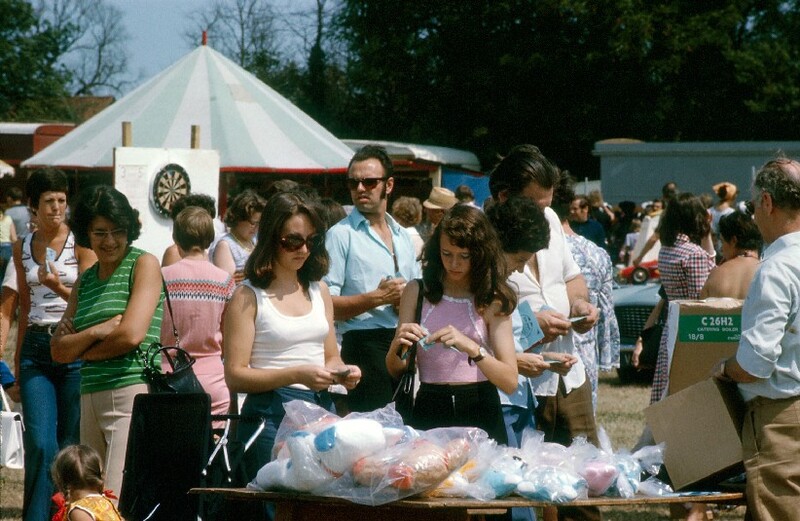 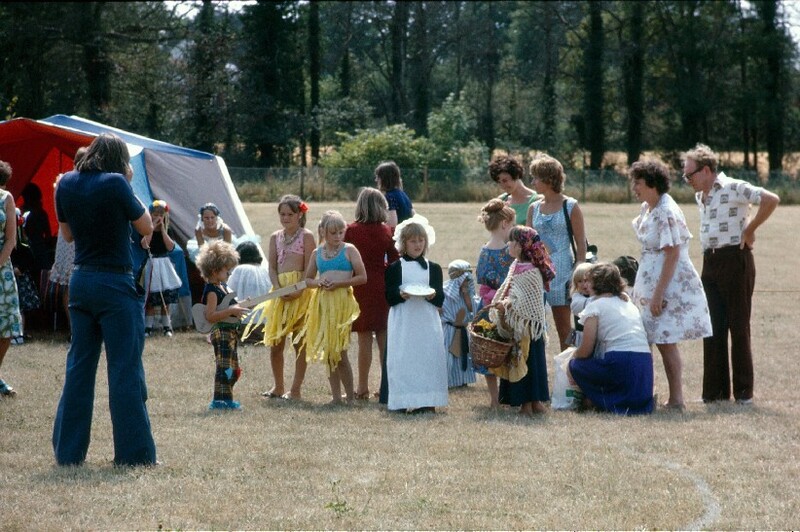 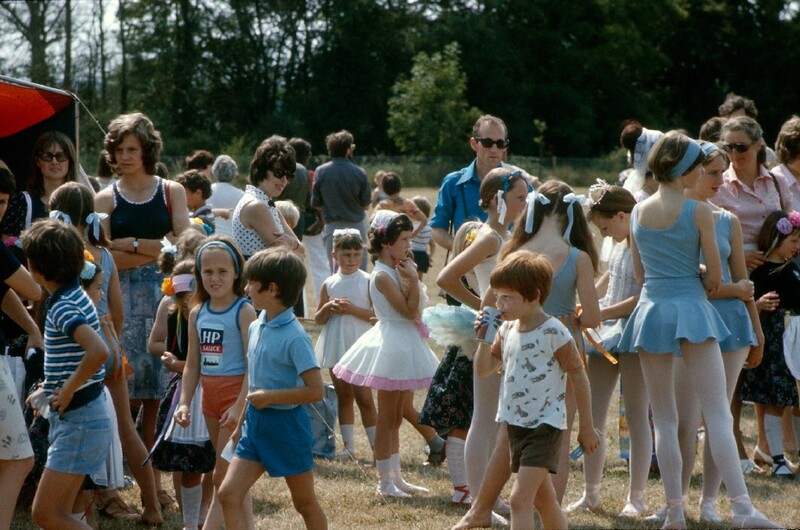 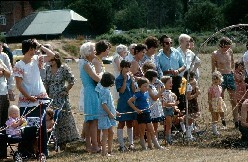 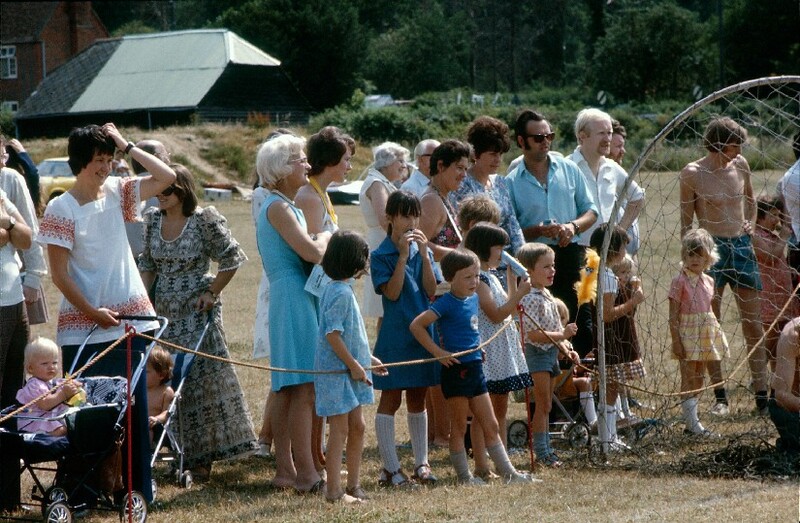 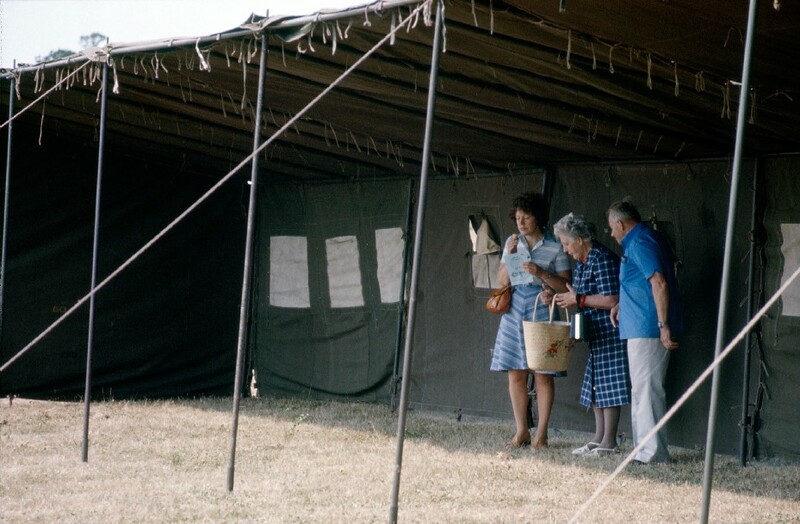 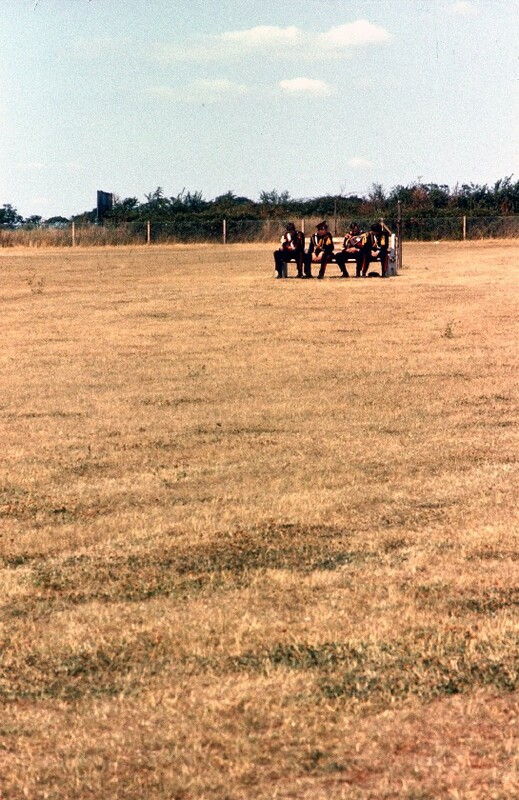 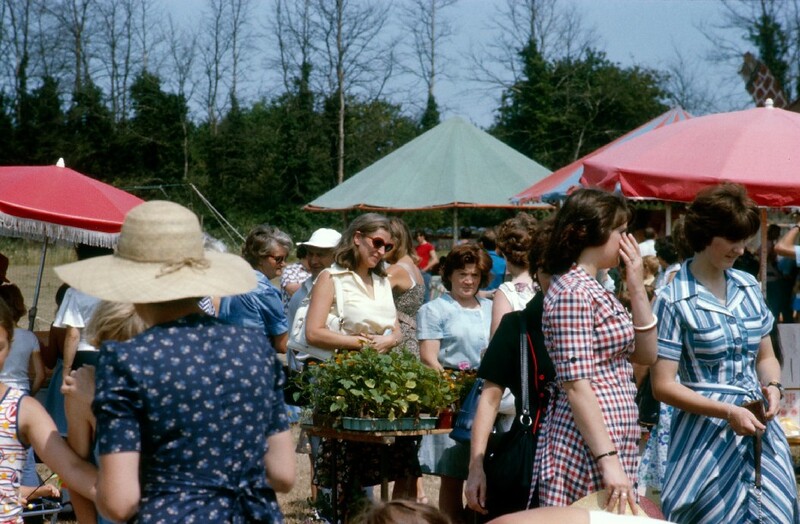 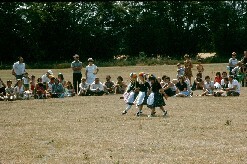 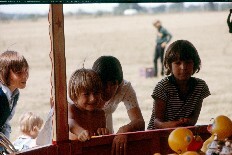 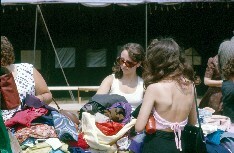 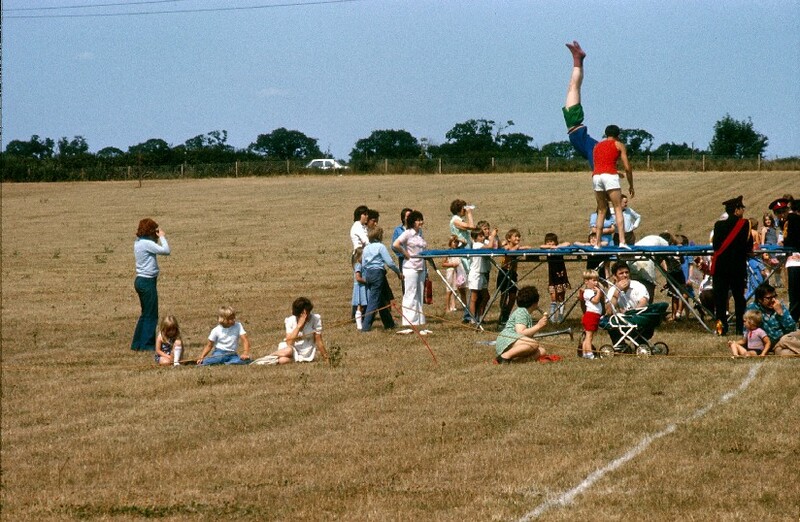 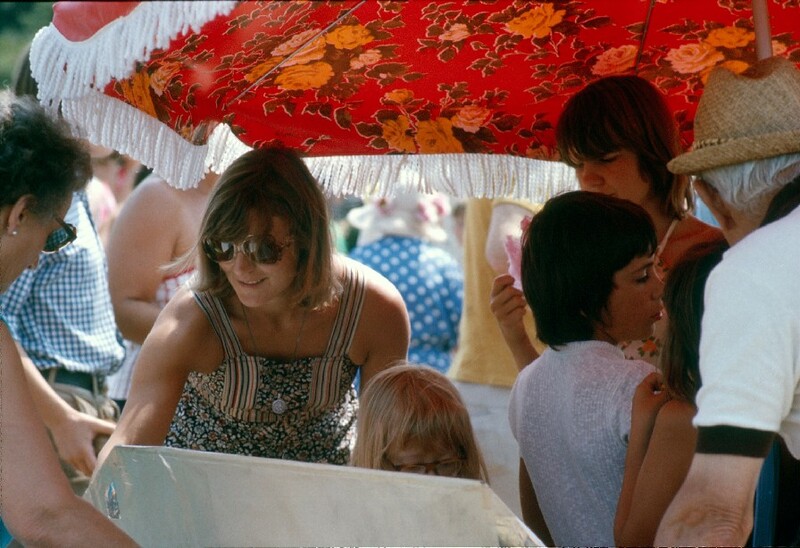 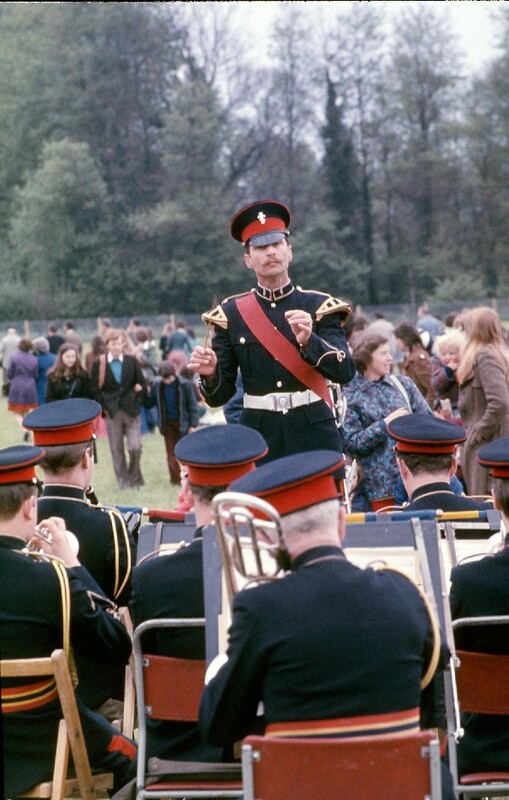 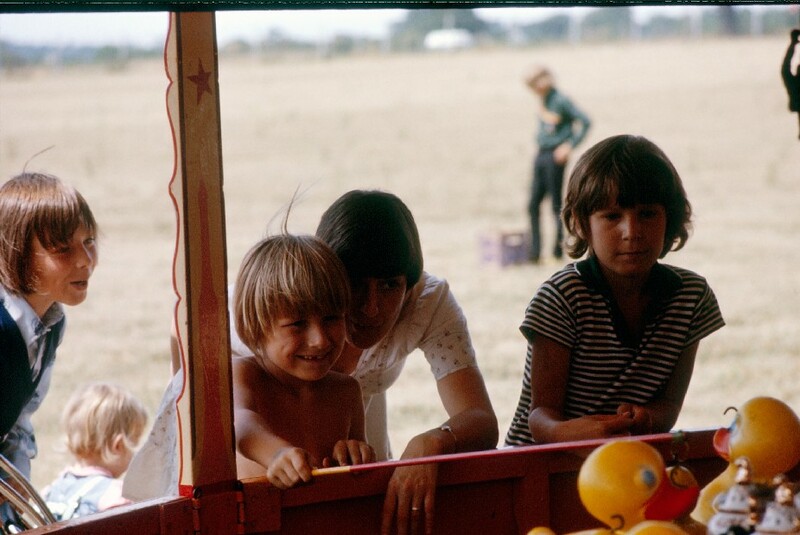 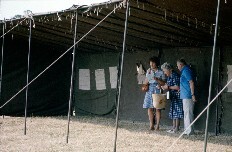 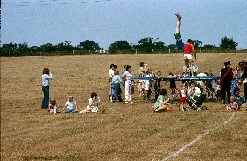 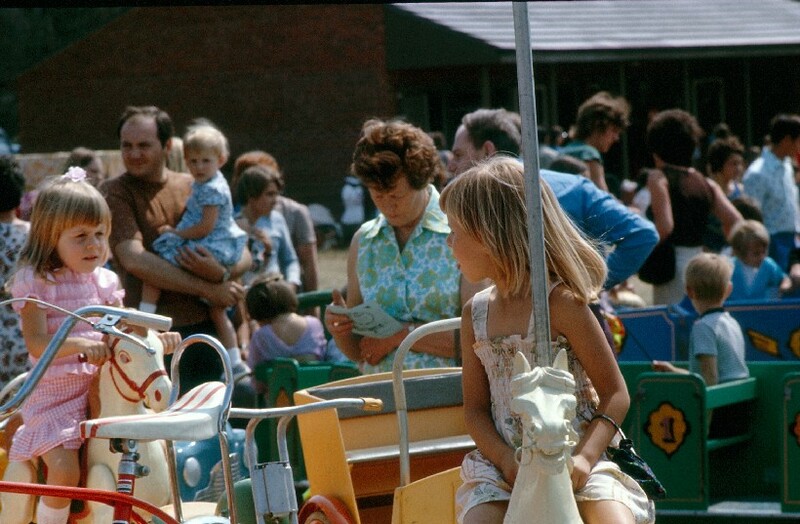 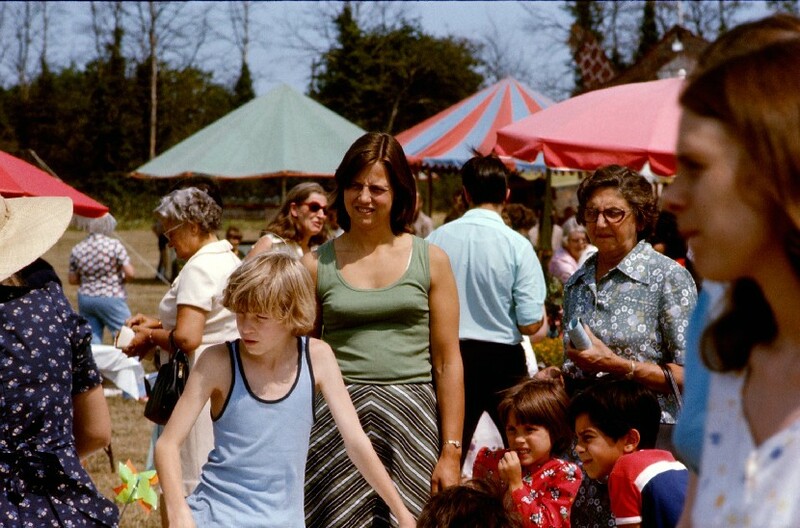 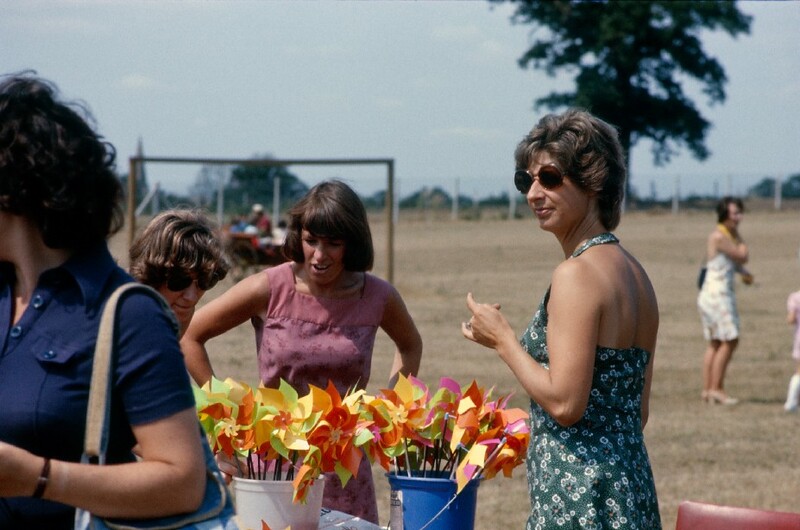 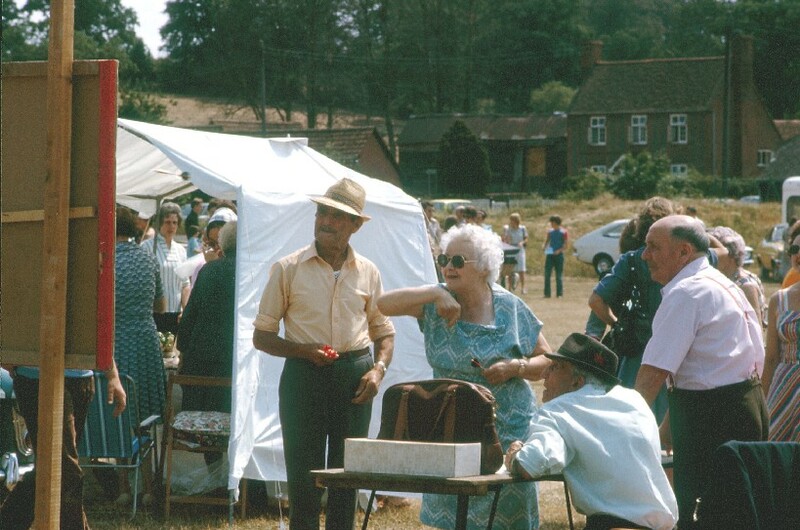 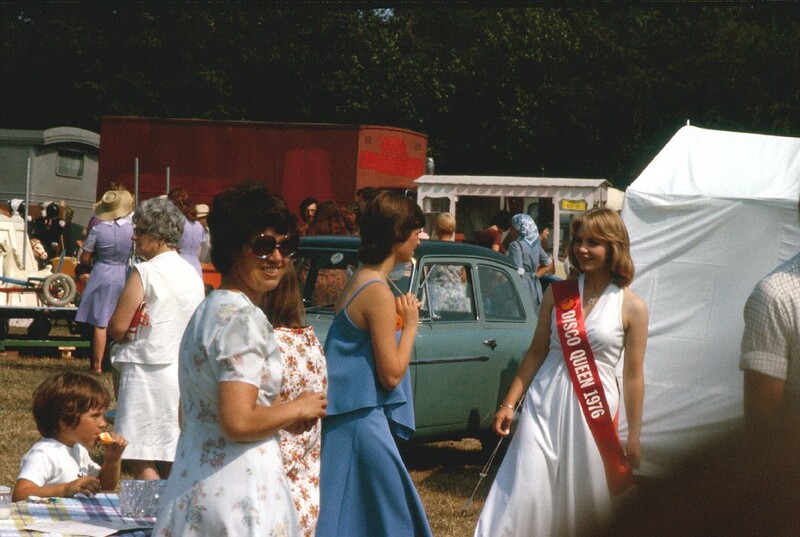 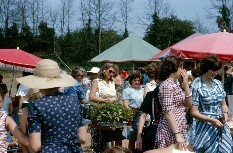 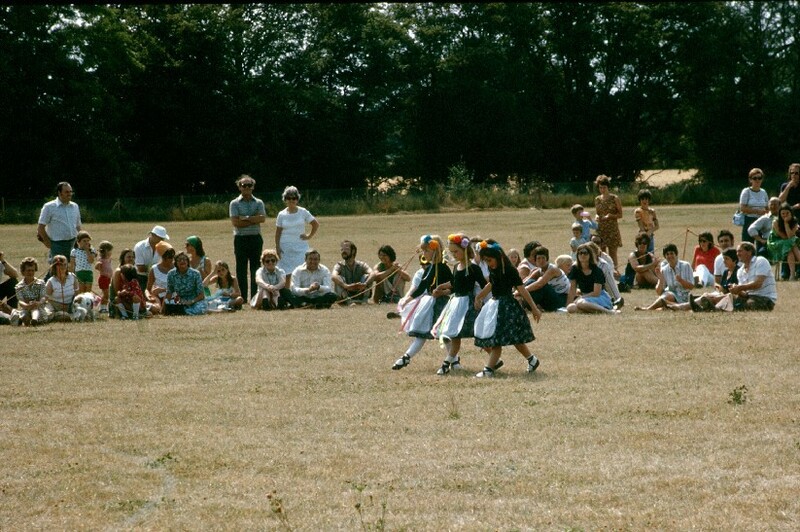 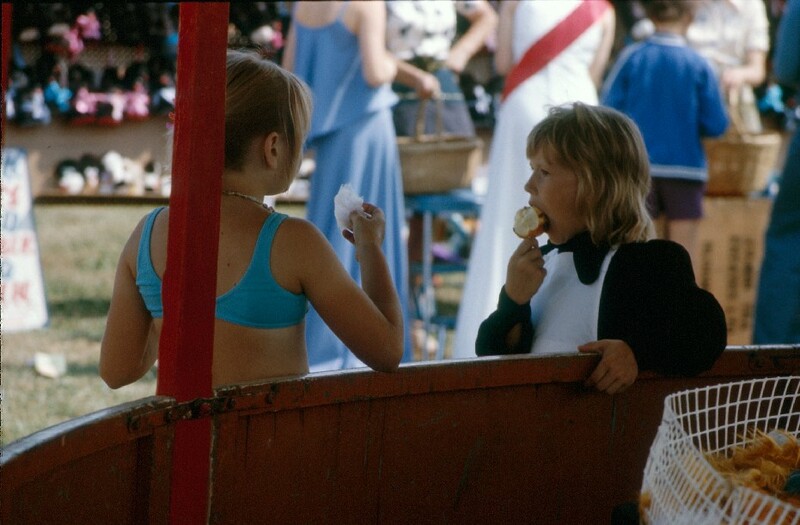 Here is a series of slides kindly donated by June Lucy, showing the fete held at the new park on Swallowfield Road in 1976. 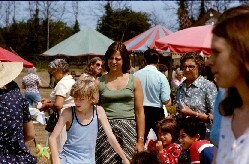 It had been open a couple of years, and the trees and shrubs were very sparse. 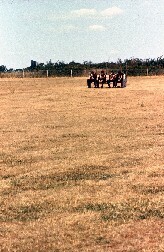 Because of the drought that summer, the grass was like a newly-mown hay-field. 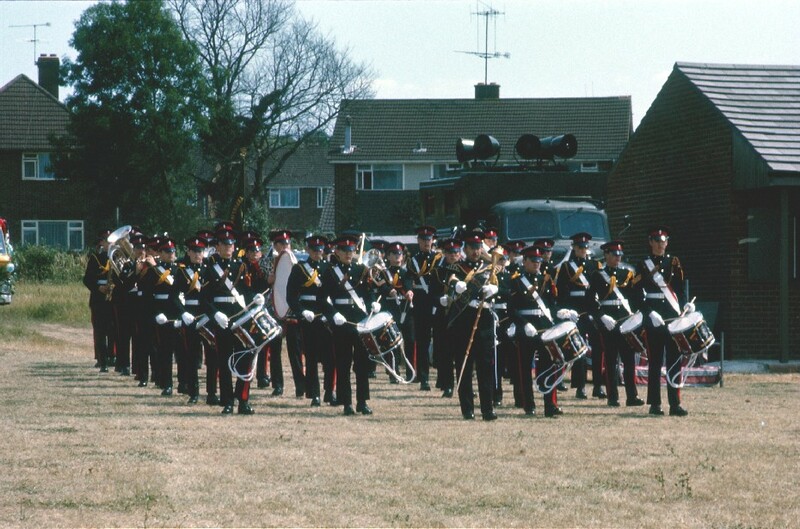 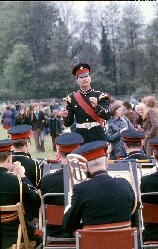 The crowd had followed the REME Band down Swallowfield Road from the Cross. 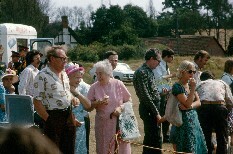 Please help us to identify the people in the pictures - click on each one to get a larger image. 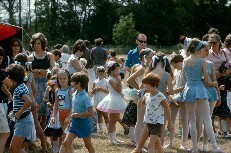 We can supply each one at a higher resolution on request. 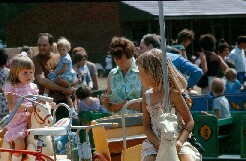 Some of the slides were scanned-in back-to-front. 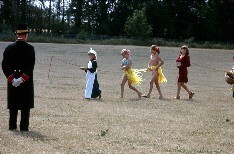 If you spot one that's the wrong way round, please let us know!